I received the cabinet from my cab builder the other day. Another beautiful cabinet! A fine place for the new 22W Sunnyside amplifier prototype to reside! It’s 22W, 2 6V6 output section, with reverb. No sooner had I made the faceplate when I decided the amp is going to be 22W not 25W. LOL! 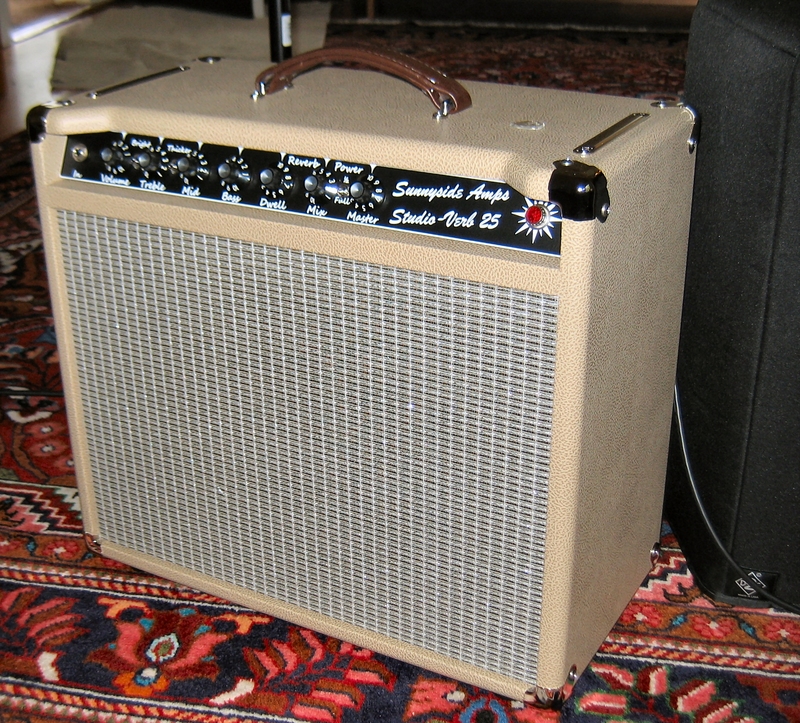 It is about 2″ shorter in height than the 50W and 40W K-Verb amps, it is also somewhat lighter. I have not finalized the design or name (of the amp) yet, but it is real close.